With decades of experience in creating popular play areas & solving problems, Outdoor Play people are here to help you get the best from your play area. Whether you're creating a standalone attraction within your attraction or simply enhancing your existing play offering. We enjoy learning about you, your venue & your customers & listening to what you would like to achieve. Working together we can come up with the best solutions for your venue or attraction. We have an extensive catalogue of tried, tested & much loved off the shelf designs that can be adjusted to reflect your branding or required theme. Are you looking for something bespoke? Then lets have a conversation and get some exciting ideas on paper. 95% of what we create is hand made in our workshops by our experienced craftsmen using top quality materials. We take great pride in our work & we really care about our customers & ensuring that the play area you end up with is something that will give you & your customers many years of joy. 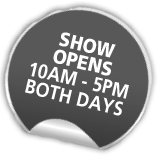 We would love to chat to you at the show, so drop in and say hello & lets get excited about the future of your park.